Angel Radio broadcasts nostalgic music and friendly chat for older people using a mix of FM and DAB covering 2 counties, 12 cities and the Isle of Wight. 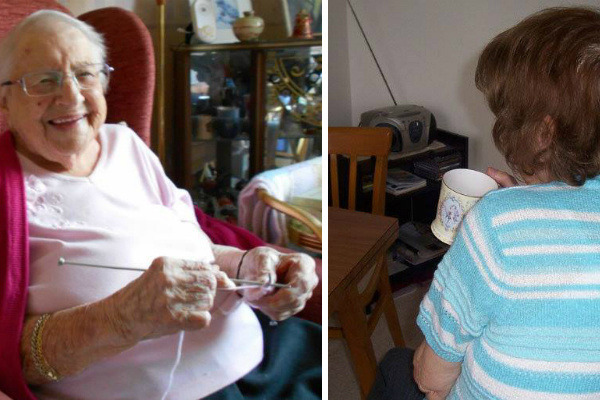 Angel Radio's service for older people has been on air since 1999. Angel Radio's team of presenters and receptionists have been told many times by listeners that the station makes then feel part of a large family and helps them when they are feeling down. Our free-phone telephone line and older receptionists, of a similar age to listeners, helps to encourage people to ring up for a friendly chat when they need a conversation or just a caring voice. We do what we can to alleviate loneliness, but we want to do more ..... and we need to know how ...... and we need funding to finance the outcomes and see them to fruition. Angel Radio recently received an email from a listener, Linda in Oxfordshire, "I have effectively lost my partner who is in a Nursing Home, having got terminal cancer, and will never come home again. I have never lived alone before, and rarely see anyone, or even get phone calls, so I am very lonely. I now have Angel Radio on 24 hours a day, as I find it helps to have music or voices to soothe me before I drop off to sleep. I turn the volume down just low enough so I can hear it. Sometimes I am asleep and miss a programme I wanted to hear in the early hours, as I don’t sleep very well anyway, but you can’t have everything. I hope other listeners to Angel get the same comfort from Angel as I do." This email has spurred us on to try do much more to help to alleviate loneliness in older people, hence the name of our project 'The Linda Loneliness Project. We know our broadcasts and our free-phone help to a certain extent, but we would like to know what works best for individuals, what works best for most people, why and how it works, and most importantly how can we improve our service. We would like to begin to enhance the lives of more lonely people as soon as possible. Your donation will enable us to undertake a wide range of research and to produce solid workable end results to enhance our work. Loneliness is regularly in the news. There have been documentaries, scientific papers and discussions, but these seem to concentrate on the causes. What Angel Radio wants to do is find out how to enhance our successes, and put this research into action through our radio broadcasts and our telephone. The initial research should not be a very expensive undertaking. Most of the funding will be used to action the enhancements highlighted by that research. We will be asking our existing audience to answer a few simple questions. We will also question older people who live within our broadcast areas and older people who are unable to receive Angel Radio. Evaluation of the answers will enable Angel Radio to enhance its service to its audience, create a service for lonely older people who don't listen to the radio (maybe CDs, DVDs, telephone chats, loan of internet radios, radios for nursing homes, etc). One of the project outcomes may be a series of 'getting to know your neighbours' radio shows. We here at Angel Radio have lots of ideas, and our research will prove which ones have the best wellbeing benefits. Thank you for your support. You will be helping us to fight one of the awful outcomes of this modern age of isolation and enhance the wellbeing of tens of thousands of older people. Thank you for your generosity so far. Here's an update of what we've done so far. 1. We have requested a meeting with the new Minister for Loneliness, Tracey Crouch MP. 2. We have contacted Lord David Willetts, former Angel Radio presenter and supporter when he was MP for Havant. 1. A friendly voice and comforting music during the night. 2. Friendly informal conversation with personal details about the station's staff, which helps listeners to feel part of an extended family. 3. A free telephone number and friendly receptionists who are able to give callers time to chat. There are several other points that have come to light in this survey ..... the importance of being able to listen to their 'friends' at Angel Radio while in hospital is one that stands out as something we should be following up on. So, while we need to extend our survey, we can already start to think of ways to enhance the work we already do on nighttime programming (maybe more live / interactive programmes in the middle of the night) on training more of our presenters on the art of conversation & personality, and recruiting more staff to man a dedicated telephone line for informal chats. Once again a big thank you to those of you who have already donated.